Well, August is already half over and I'm wondering if you've used your Bonus Days coupons yet. You know they're only good until the end of August, right? Make sure you put in an order and use them before they expire! 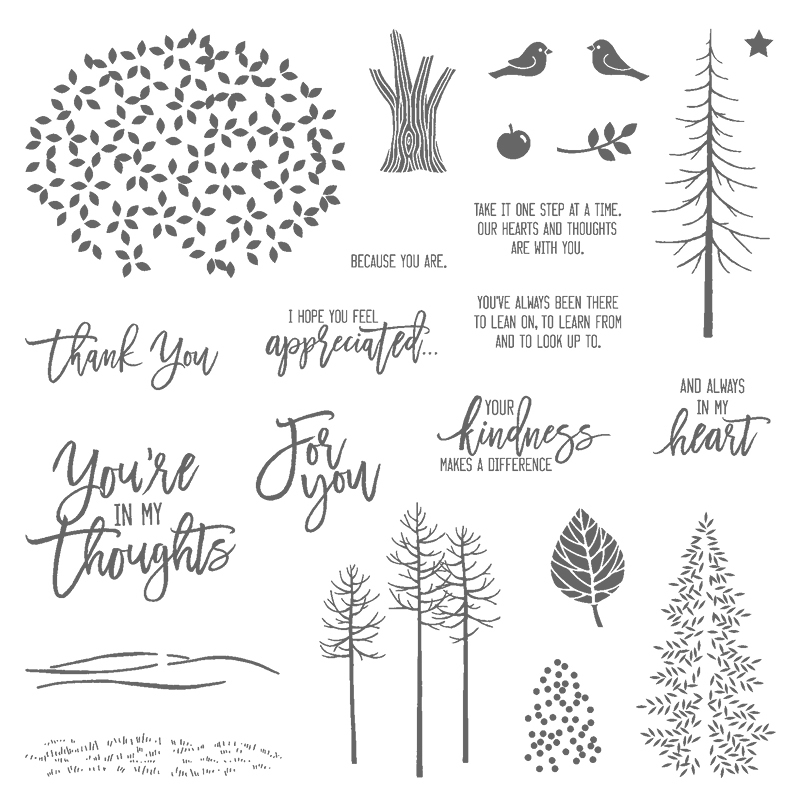 I'm also wondering if you've ordered the Thoughtful Branches Bundle yet, and if not, why? 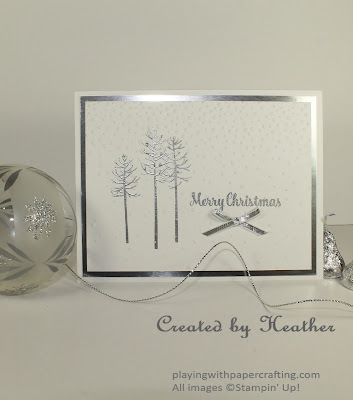 This is a set that is going to serve you well through every season of the year, especially the coming holiday season. 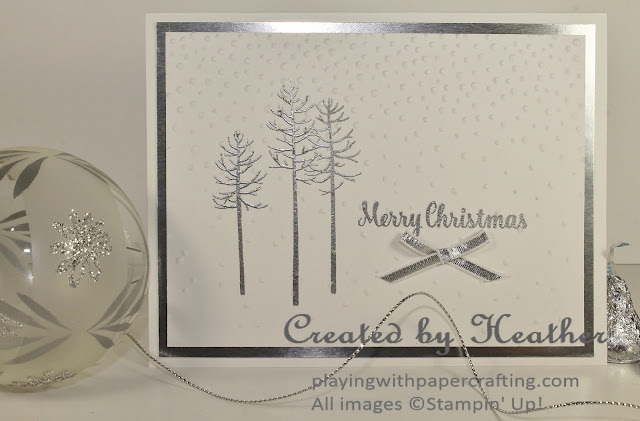 I wanted to demonstrate a very easy Christmas card that you could make that would be easily duplicated in bulk, great for your season's greetings, and features the Thoughtful Branches stamp set. 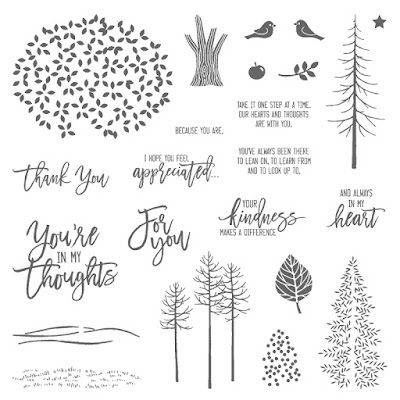 The image from Thoughtful Branches stamp set was stamped in Versamark on the Whisper White panel and covered with Silver Stampin' Emboss Powder. I heat set it with the Heat Tool. 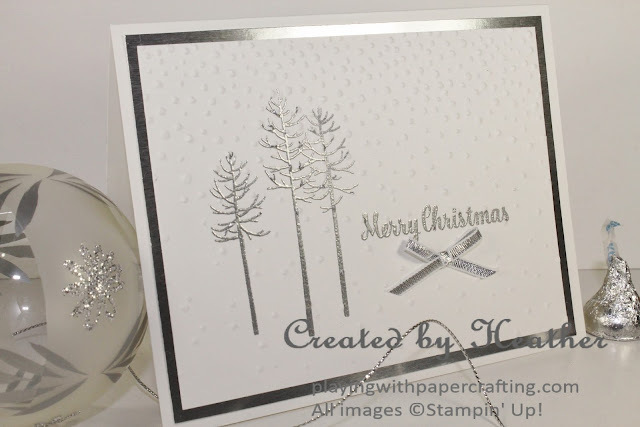 The sentiment is from the new Star of Light stamp set* from the Holiday Catalogue. It will be available September 1. It was also stamped in Versamark and heat embossed in silver. 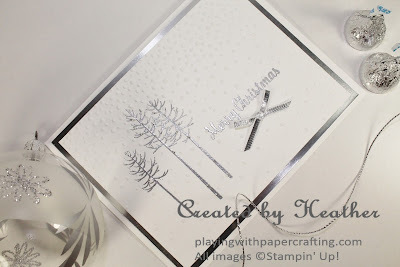 I took that same panel and ran it through the Big Shot in the Softly Falling Embossing Folder to get the snow impressions. The little bow is made from Silver 1/8" Ribbon. The front panel is mounted on a piece of Silver Foil Sheet on a Whisper White card base. Super easy, but very effective. 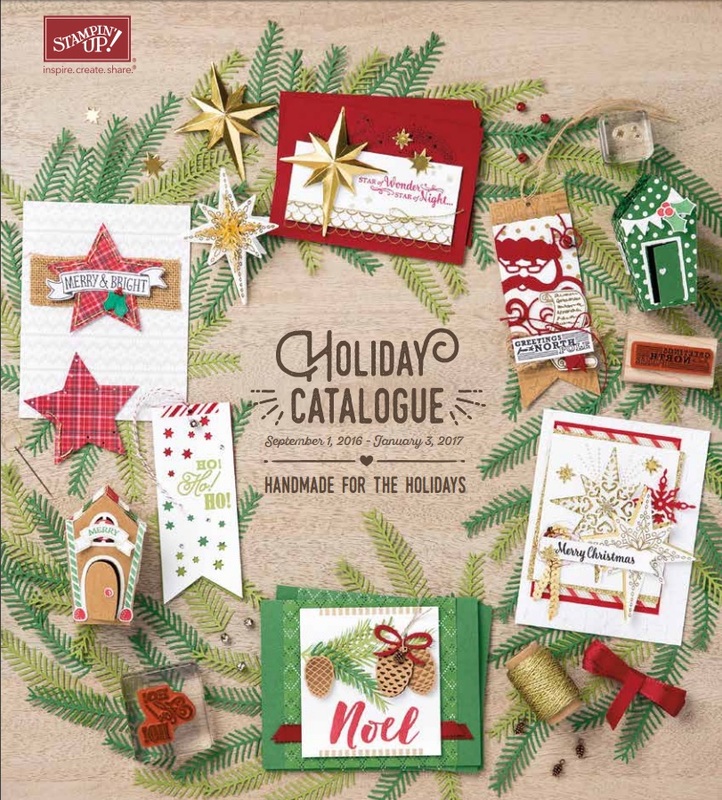 *New Product from the 2016 Holiday Catalogue, available for purchase Sept. 1, 2016. I have quantities of the new Holiday catalogues now to hand out to my customers. The quickest way to get one is to place an order. I'll see one gets into you order when I deliver. Otherwise, let me know and I will send you one with the second round of deliveries. 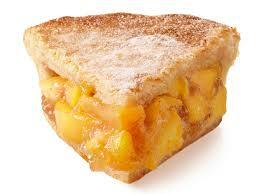 We made 105 peach pies on Saturday! We had a gang of about 12 of us off and on and managed to make them between 8 am - 3 pm! It was a lot of hard work, but with donated supplies and all the pies sold, we raised over $1000 to add to our sponsorship fund for the refugee family we are sponsoring! I was in major back pain all Saturday afternoon and evening, but it felt worth it, considering what our refugee family has had to endure over the last four or five years.